We love ’em so much that we’d totally enter this epic eating competition (should we ever happen to find ourselves in Sparks, Nevada…)! There’s just something so darn satisfying about getting your hands dirty with a plate full of pork ribs. The best ribs are meaty, juicy, and fall cleanly off the bone when you sink your teeth in. 3. 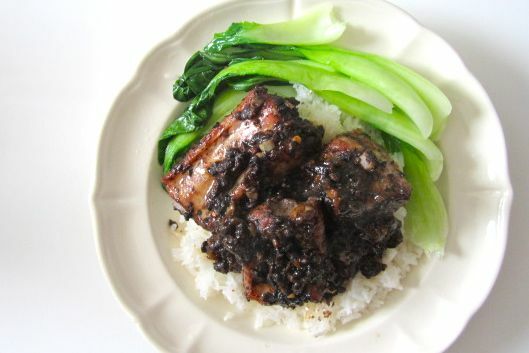 Succulent steamed black bean ribs (typically served as a dim sum at yum cha). Now, we certainly love us some salty black bean. Douchi is a fermented and salted soy bean with a distinctively sharp flavour. Using douchi in steamed ribs is a great way to experience the strong flavour without it being too overpowering. 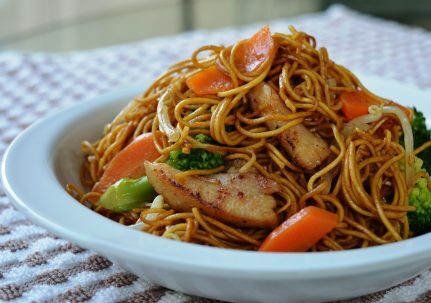 Nevertheless, sometimes we get a hankering for something with a little bit more oomph and indulgence than steamed ribs. 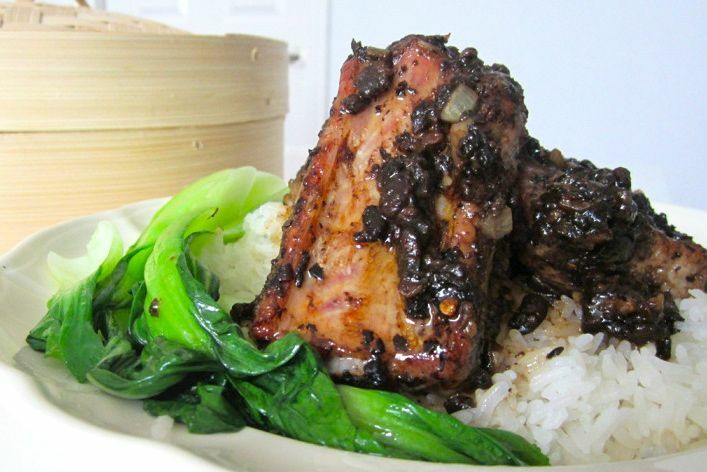 Enter our Dumpling Sisters twist on the classic black bean ribs. 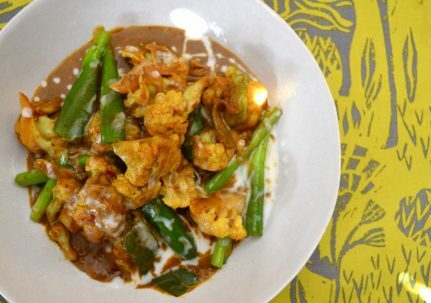 We chuck ours in the oven with a generous sprinkling of chilli flakes and loads of fresh garlic. The ribs brown up like a dream and you’re left with a gloriously thick and glistening gravy too. 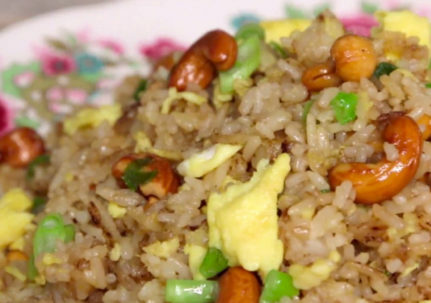 It’s just perfection on steamed rice! For the juiciest ribs, start with a rack that has a thick layer of meat. We got an amazing piece from our local butcher. As for the fermented black beans, you can get these from any Chinese supermarket. You could also use black bean sauce by subbing in 3/4 cups’ worth. In our opinion, the jarred varieties are far less flavoursome than whole beans, so do try to get a hold of the beans for the full-blown experience! Prepare your ribs. For a really meaty mega rib, cut right up alongside the two bones on either side of a central bone. See the video for a better idea of what we mean here! If you wish to have smaller ribs like we did, grab a cleaver and chop the bones right down the middle. Make sure you strike confidently to get a clean cut. Tenderise the ribs by combining them with the bicarbonate of soda, cornflour, and water. In Chinese cooking, pursuing good houw gum (literally, ‘mouth feel’) is just as important as getting great flavours. Mouthfeel refers to the texture of food, be it crisp, slippery, smooth, melt-in-the-mouth, and so on. In the Cantonese tradition, meat is usually tenderised for a velvety mouth feel. 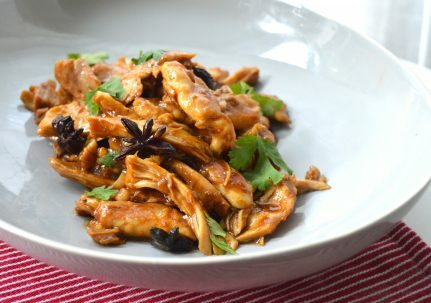 The same handful of simple ingredients can be used over and over again with different meats to achieve this lovely tender mouth feel, meaning you can create lush dishes even when using more affordable cuts of meat. Rinse the black beans. Pop them on a chopping board and chop roughly. Take half the beans and mince them up with the side of the knife. The beans may look little and innocent but they are super salty, so it is important to rinse thoroughly and swish vigorously 2-3 times to ensure that the flavour is not too overpowering. Take half of the minced garlic and mince it with the blade of a knife. Adding a couple of pinches of salt will help things along, as the grittiness makes it easier to break down the garlic as well as help to draw out some moisture. Add all the black beans and garlic (both chopped and minced) to the ribs. Add dried chilli flakes, sugar, Shaoxing rice wine, and oil. Mix to combine. Cover and pop the ribs in the fridge for at least 1h to marinate. Chuck the ribs into a baking tray/dish with sides, preferably keeping the ribs to a single layer. Cook in a preheated oven at 200°C for 20-25 minutes. Flip the ribs at the halfway point. By the time the ribs have been cooking for 15 minutes, you’ll be tortured by the aroma wafting out from your oven! Especially if you were already hungry when you started cooking, like we were. The simplest and loveliest way to serve these ribs is atop a big bowl of steamed rice with blanched bok choy. To cook your bok choy, simply break off the stalks and plunge into boiling water for 45s to 1min. Bok choy needs hardly any cooking at all, and tastes the best when the stalks are still crispy (once again, it’s a mouthfeel thing!). Turn what’s left in the baking tray into a luscious gravy by mushing up the black beans with the back of a spoon.